Yes. How I miss Madison Square Garden. A reverie…the back garden filled with trellised vines, big terra cotta pots of wild plants, covered in moss, singing the character, texture and colors of verdigris. Tiny pebbles and stones, aged. The leafy canopies of trees, a different color as each passing season welcomed friends. Little tucked away surprises and secrets, a fairytale of laughter and yet areas of solitude. Times change. Tastes change. For every door that closes another door opens. But memories remain. The rationale given for the change in police car color schemes is total BS. I firmly believe it’s simply to be more intimidating as well as self-aggrandizing. Next they will be all black, which the Boston Transit Authority did a few years ago creating great hostility to which they reluctantly yielded. Blue is the right color for Laguna. Shame. Some homes have spectacular panoramic sunset ocean views, some have the drama of the coves and cliffs, some folks have equally breathtaking views of our town and hillsides – all views are precious – to be appreciated and respected. Laguna is a City of Views and that is really our heritage. But in all of this discussion of views, protection of views/rights of homeowners, it is critical that we continue to respect our neighbors and their views in keeping our own view protected. This has been a debated topic and will continue to be. Years ago a group (Mr. Baez is on their Board) began to vocally defend the rights of eucalyptus/trees over the right to a view. In fact, Ms. Christoph (who was on the city council) and Mr. Grossman wrote a useless ordinance that had no teeth in making sure protection of view was impossible. It only added to the strife. Finally, strong-minded and persistent citizens managed to create a more equitable ordinance (although it is an expensive process) to rectify this inequity – remember Save Laguna Views. Perhaps we all remembered this as we voted as we did. Many of us have noticed what appears to be campaigning for the 2020 election. Meetings at Montage, activities at the little street park in South Laguna, having Mr. Whalen’s Meet the Mayor at the home of Village Laguna’s President, etc. Very interesting. What we do as a city is important to our future as well as our tax base, which allows us to improve and enhance our city. Letting developers go wild may not be possible as the Coastal Commission is a factor in the equation, we have ordinance on height limitations, and of course the View Preservation ordinance can all play an important part as we keep an eye on the future. All of these and the voice of the citizens can mitigate such a destruction to our heritage. But what is more important is bringing our city together and all of us enjoying what we have that is so unique – that is why we bought our homes where we did. We should not create chaos, speculate to create fear, spread fake news (such an awful term) and try tactics of other leaders in this country or the world who use them to gain power. LBUSD office of Public Communications confirms email content sent under official seal and signature of Board member Peggy Wolff. Message recklessly accuses Board member Dee Perry of violating legally binding School District rules, without supporting evidence, facts or law. Wolff’s bizarre message charges meeting by Perry and recent LBHS graduate for discussion including matters of public record breached enforceable Board rules. Perry’s meeting didn’t violate any rules, however Peggy Wolff’s email did. Under state law and School Board bylaws, the School District’s rules of governance are “binding on the School District,” including Board members. Wolff’s email, a legally incoherent diatribe, cites Bylaw 9200, prohibiting individual Board members from acting in an official capacity on behalf of the Board to “resolve a complaint” or respond officially to a formal “information request” in the name of the School District. Perry’s meeting with a constituent violates no rules, it’s part of her job as an elected board member. She referred the constituent to Superintendent if official action was proposed or official information was requested, consistent with Bylaw 9200. Perry’s meeting was requested by the constituent, well within normal constituent services and fact-finding for elected representatives. That’s her job. Wrong, there’s no requirement for five members for Board meeting or discussions with constituents on school issues. Indeed, after many tens of thousands of tax dollars expended on Sacramento consultants for remedial governance training Wolff should know some member discussions with public defined as meetings under state law must be limited to no more than two members. More to point, foreseeable effect and seemingly the purpose of this message is to usurp Perry’s authority and silence her, a chilling effect on freedom of speech, association and democratic representation. Without proof or even logic Wolff’s email accuses the parties of complicity in misconduct, seemingly intended to discourage a citizen from meeting with an elected representative, and vice versa. It is clear to me this was a political attack on Perry by Peggy Wolff cloaked in the authority of her office. It is also extraordinary that a Board member’s accusation of wrongdoing against another Board member is communicated to a member of the public in the name of the School District. Board bylaws required Wolff to direct her own complaint to the Board or Superintendent, but instead the falsely accused Board member was denied minimal due process before official communication of the charges to the public, without notice or a hearing, or even the courtesy of verifying facts before hurling accusations. It is entirely within the scope and place of an elected School Board member’s duties to meet at request of constituents. State and federal constitutions protect freedom to meet in public or private to discuss any issue that does not implicate legally privileged or restricted information. In contrast, it is a violation of more than just Bylaw 9200 for Wolff as an individual Board member to manage her own complaint against Perry, purporting to intervene in the matter in her official capacity on behalf of the Board and School District. Bylaw 9200 prohibits Wolff from communicating unproven allegations to a member of the public. Wolf’s action seemingly violated several other legally binding rules, including Bylaws 1009 (Civility, Community Relations); Bylaw 1113 (District School Websites); Bylaw 1114 (District Sponsored Social Media); Bylaw 1312.3 (Uniform Complaint Procedure); Bylaw 5131.2 (Bullying); Bylaw 5145.3 (Non-Discrimination/Harassment); Bylaw 9010 (Public Statements); Bylaw 9012 (Board Member Electronic Communications). Thus, the most critical question now is whether Wolff acted without authorization, or, was the email approved by the Superintendent, President of the Board, or any other LBUSD official. In addition to the LBHS Principal, how any LBUSD officials enabled or knew of this message falsely accusing Perry and a constituent for meeting with an elected official? 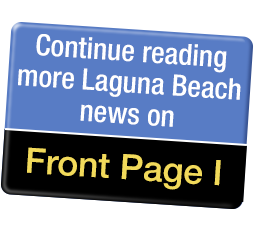 What is going on with the Laguna Beach Unified School Board? I was surprised to read that Dee Perry was denied the chance to serve as Board President, after serving as Clerk. This is the procedure followed in the past, and no reason was given to break with this practice. As far as I know, there was no explanation as to the reason for denying her the post. I know Dee Perry as an excellent teacher of my children, and as an intelligent, reasonable person. I have voted for her twice. I did not realize that she had spearheaded the streaming and videoing of Board meetings, and I thank her for that. In addition, the meetings also should be televised on channel 852. If there is a conflict with a scheduled City Council meeting, the School Board meeting could be shown at a later time. The more light shone on the work of our public officials, the better informed, we, as the public who elects them, can be. I understand that instead of giving an explanation for their decision to deny Ms. Perry the chairmanship of the Board, they voted to delete the by-law concerning the annual election of a clerk and president. Why don’t they have the guts to give the reason for their actions? Not giving a reason for one’s actions would not be acceptable in the schoolroom. Why is it acceptable for the School Board? This is hardly democracy in action, and it sets a terrible example for our students. Thank you to Barbara Diamond and Stu News for covering this important issue. I was surprised not to find a story about this issue in the other local paper, which usually does an excellent job covering local issues. Let›s hope reporters for both papers show up at the next School Board meeting when the discussion of the deletion of this by-law comes up for a final vote. Anyone else find it strange that the city had lifeguard tryouts at Main Beach while runoff from the storms of the last several days was still pouring into the bay where the tryouts were being conducted? While many health authorities in Southern California advise people to stay out of the ocean for three days after major runoffs due to high bacteria counts, Laguna Beach has no postings and had numerous lifeguard candidates in the water swimming as part of the tryouts on Saturday. Elections have consequences – residents losing our ocean views? In my opinion, it is Mr. Blake’s desire to appoint to the DRB only commissioners in sync with his (and also Liberate Laguna’s) positions, and that because of what I believe is his approach, we face an imminent threat, which is important we all understand the nature of. Laguna has a decades old tradition of protecting homeowners’ rights including ocean views. In fact, Laguna has laws that provide for view equity, which means that an owner or developer has the right to build a home with a view but must preserve the views (to a great extent) of surrounding neighbors. Our civic leaders also crafted rules, regulations, and an approval process to be sure that developers cannot simply take away neighbors’ views, privacy or destroy neighborhood compatibility simply to greatly enrich the value of their project at a subsequent sale. Now, it is the opinion of many longtime residents including myself that, Liberate Laguna’s well-financed group is attempting to undo these protections. Imagine the following scenario: dozens and then hundreds of developers buy homes in our traditional neighborhoods, tear them down, and build mansions that take away their neighbors’ ocean views. How do we protect residents when massive projects are proposed that have drastic impacts on our daily life? Also the values of their homes, purchased under the City’s existing view preservation ordinance? A rule that says that the last builder gets the ocean view would make a mockery of our sense of community and forever change the character of Laguna. If you feel that Liberate Laguna and its endorsed candidates misrepresented and misled you during the election, and you feel threatened by what feels like an intent to take away ocean views from residents, do not worry. There is something we can do: Let’s attend council meetings, talk to our city leaders, and join neighborhood groups. Together we can resist what I feel is an obvious “land grab”. Breaking News: The Hill reports “Biden almost certain to enter 2020 race,” Feb. 14. This isn’t sour grapes. It’s reality. Joe Biden will be nearly 80 next year. His getting into the 2020 presidential race reminds me of an athlete who is beyond his or her prime, but keeps playing anyway. Am I the only one who remembers the great Willie Mays dropping a routine fly ball very late in his career? It was beyond sad to watch. As an experienced, elder statesman, Biden could play a significant role in a new, Democratic administration. Secretary of State would suit him well, but not president. I hate to be the bearer of bad news, but time waits for no one. Joey, as the former vice president often refers to himself, I am afraid your time has come and gone. Be a mentor to the current crop of presidential contenders, not an opponent. Once upon a time in a far off land, actually between Corona del Mar and Dana Point, there was a lovely pocket of land that had incredible views of the coastline and an expansive view of Catalina Island. This little pocket of land was surrounded by hillsides that eventually were populated by the many folks who were charmed by its little village, its panoramic view of the coastline – some of these views had names, Newport Beach and even Long Beach. The hills were dotted by live oak trees that had lived there for hundreds of years. But then one day some early folks brought in some trees that were fast growers and cheap. There were other downsides to these trees – but this happens later in our story. Soon word got out about this special place and people started building homes, hotels, restaurants, and other stores of convenience. It wasn’t long that the flat lands were taken and folks started building in the hillsides. Many not paying attention if they blocked views, heck there was so much land who would care. Then famous art events were held in this little town and millions came to visit. In a few years, big homes with swimming pools, garages, and media rooms were built and space was at a premium, so were views. The City as it grew with the town had many things to worry about – traffic, parking, water and sewage control, parks, and people were demanding more attention to property rights and views. Some things were easier to take care of, but not everything. Especially when a group of people decided that they knew what was best for everyone living in what is now known as Laguna Beach. Some of the issues they picked on like height limitations were good – that resulted in building codes. However, like all groups who think they control things, they became a bit outspoken and sometimes even rude. Some of the group members planted trees to block views, others thought of ways of blocking expansion, not letting parking structures be built, they even wanted to plant more eucalyptus trees – which most of the rest of the population did not want. They even started saying things that many like myself know are not true – that tall trees prevent fires, even though there was a big fire in 1993 in which over 400 homes were burnt. These folks also made sure that their friends were on various committees created to keep the charm of our town but that soon got old when mostly their friends, it seemed, were given the green light to do things in town, spend money on frivolous things, and of course, plant all the eucalyptus trees they wanted, it seemed, because they are part of our history. This divided the community. Recently one person noted that there was this green vine growing in one area and it had never been there before. It grew and grew – covering trees, bushes, and killing plants because the plants would not get sunshine. Soon the vine started growing in people’s back yards and they didn’t understand what it was but they were told it is natural here. Soon birds left because they couldn’t access trees to nest or rest. Then the four-footed wildlife left because they couldn’t find anything to eat as smaller animals had already left. Soon people were unable to remove the vines as they grew so fast and the seed pods were painful to get rid of. Plus on the internet they saw that the vines should not be put in compost bins. They were in a quandary. So people moved out as the eucalyptus were growing so thick it became a forest, all the lovely views were gone, their homes were covered with vines which were “indigenous to Laguna” even though most folks had never seen them before. Soon Laguna was abandoned and well the rest is history. Last week, the Laguna Art Museum celebrated the completion of a year-long project to refinish its lower level galleries. Today, visitors can easily read the name of Frank Cuprien and other early supporters who paid a whopping $1.50 each to have their names inscribed on the floor of LAM’s basement gallery back in 1934. Approximately twenty years ago, I dreamed up the idea of selling floor tiles in the lobby of the museum. In contrast to the $1.50 originally donated back in the Great Depression, the 108 tiles we laid down in 2000 cost $1,000 each. Recognizing LAM’s earliest supporters has paid dividends to Laguna’s art community for decades. My hope is the sponsors who generously underwrote the costs of the museum’s newer lobby tiles will be celebrated 30, 40 or 50 years from now.